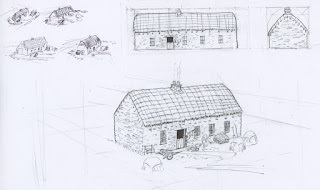 A design sketch of an 19th-20th Century Irish farm cottage. 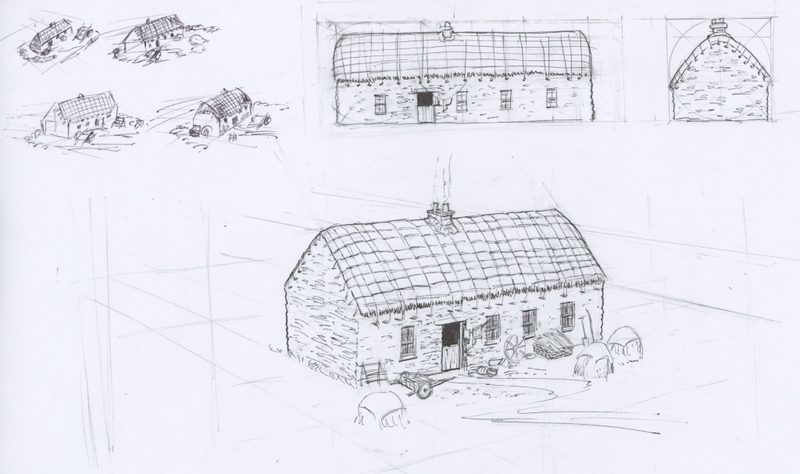 The sketches around it show my process, from little thumbnail sketches in the upper left, to orthographic views (front & back) in the upper right and the final perspective drawing centre. Though I often do the orthographic drawings in pencil after the little thumbnails and change them once i have finished the final perspective drawing as I usually change the design when Im doing the perspective image and need to re-edit the orthographic images to match. glad to hear it Ali, thanks!